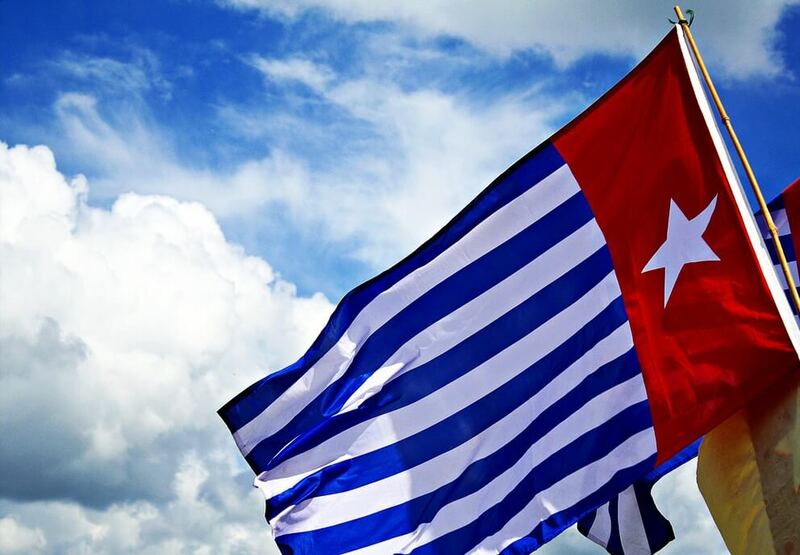 West Papua's Morning Star flag. Photo by @lussqueittt on Flickr. Some Rights Reserved. This is exactly what happened in the Pacific nation of West Papua in 1969. The occupying Indonesian army marched 1,026 handpicked West Papuans (from a population of 800,000) in front of election officials. These ‘voters’ were ordered to raise their hands at the right moment or be shot. 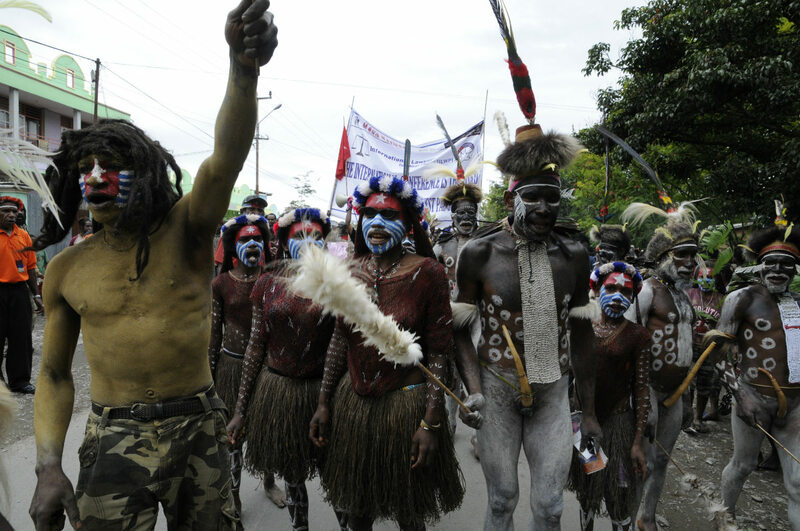 This ‘Act of Free Choice’ was then presented to the world as an unequivocal vote in favour of Indonesia’s claim over West Papua, and rubber-stamped at the United Nations by the US, the UK, Australia and their allies. The lands, forests and mountains that had been home to the Indigenous West Papuan people for 50,000 years were handed over to Indonesian President Suharto’s military regime – along with the vast reserves of gold, copper and natural gas buried beneath them. Papua New Guinea National Capital District Governor Powes Parkop (left) with Independence leader, Benny Wenda (right) at the concert for a free West Papua, Jack Pidik Park, Port Moresby, March 6, 2013. This article was originally publish in New Internationalist Magazine. It has been re-published at IC under a Creative Commons License.